At Westbrook Honda, we strive to deliver quality care with value and integrity to EVERY guest! During your next regularly scheduled maintenance at Westbrook Honda, please take advantage of the valuable upgrade options that we currently offer with the Westbrook Honda Vehicle Upgrade Assurance Program. Based on current incentives, special financing, and Westbrook Honda discounts, you may be in an excellent position to exchange your current Honda for a brand new Honda and likely lower your current monthly payment. 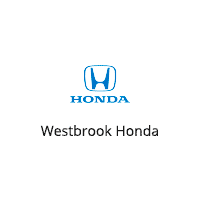 Through the Westbrook Honda Vehicle Upgrade Assurance Program, eligible consumers are entitled to receive additional trade-in value and special incentives toward the purchase or lease of a newer vehicle. Based on your unique equity position, we have several upgrade options available. Watch to learn more about our Assurance Program! To take advantage of these benefits, please contact us to learn more and to speak with one of our Vehicle Upgrade Specialists about how to qualify for the program.